Gregory E. Kaebnick is a research scholar, the director of the editorial department, and editor of the Hastings Center Report and Bioethics Forum. He is interested in questions about the kinds of values that figure in thinking about new biotechnology, and particularly in the way people think about nature and human nature. This work has evolved out of earlier work on the nature and status of moral values and the structure of moral deliberation. Kaebnick is currently leading the research project, The Ideal of Nature: Appeals to Nature in Debates about Biotechnology and the Environment. In Genetic Ties and the Future of the Family, he explored the ramifications of genetic paternity testing for the parent-child relationship. In the recently concluded Crafting Tools for Public Conversation about Behavioral Genetics, he addressed the implications of behavioral genetics for human freedom. Andrew C. Revkin is a journalist and author who has spent a quarter of a century covering subjects ranging from the assault on the Amazon to the Asian tsunami, from the troubled relationship of science and politics to climate change at the North Pole. From 1995 through 2009, he covered the environment for The New York Times. He is currently the senior fellow at the Pace Academy for Applied Environmental Studies at Pace University and continues to write his “Dot Earth” blog for The Times Op-Ed section. Previous jobs include senior editor positions at both Discover Magazine and Science Digest. Rosamond Rhodes, Ph.D., is professor of medical education and director of bioethics education at Mount Sinai School of Medicine. She directs a program of faculty medical ethics education and collaborates with faculty members on a variety of research projects. Rhodes serves as a member of Mount Sinai’s Ethics Committee and IACUC. Rhodes is also professor of philosophy at The Graduate Center, CUNY. 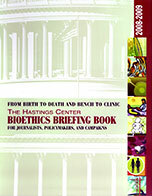 Beyond the teaching setting, Rhodes serves as co-editor of the American Philosophical Association Newsletter on Philosophy and Medicine and on the editorial boards of the international journals Cambridge Quarterly of Healthcare Ethics, Theoretical Medicine and Bioethics, Bioethics, and Clinical Ethics.